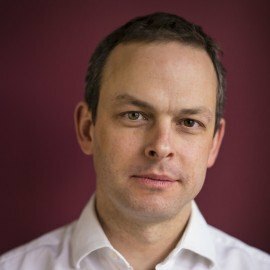 James Barr has worked in politics, at the Daily Telegraph, in the city and as a political officer at the British Embassy in Paris. He now runs his own research business and is a visiting fellow at King’s College London. 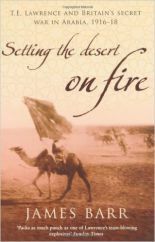 In 2006 Bloomsbury published his history of the Arab revolt during the First World War, Setting the Desert on Fire. 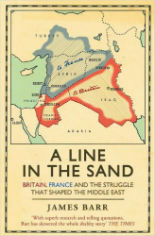 In 2011 he followed this with A Line in the Sand, Britain, France and the struggle that shaped the Middle East, which earned brilliant reviews. 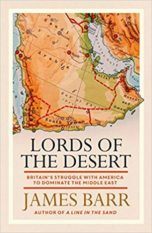 His latest book, Lords of the Desert, published in August 2018 tells the story of the rise of America and the fall of Britain in the Middle East (“a dramatic, absorbing account” – David Wearing, Prospect. “[a] riveting tale of Great Power competition, skulduggery and backstabbing” – Justin Marozzi, Sunday Times). He is now working on a sweeping history on great power conflict in the region.